The Honshu Boshin Katana fuses tradition and innovation to yield a masterwork of modern sword design. True to the legendary katana’s roots, the Boshin boasts a 30 3/8” 1060 high carbon steel blade that’s unrivaled in sharpness and strength. But this is no ordinary Katana. Trading traditional trappings for chic contemporary style, the cutting edge Boshin is an undeniably modern weapon. Textured TPR shrouds the handle for an ergonomic no-slip grip you can’t get from conventional ray skin and cord. The handle is crowned with an oversized polished steel pommel, and the guard snubs fanciful ornamentation in favor of a practical pointed ellipse design. In keeping with the Boshin’s clean, functional motif, the sleek wooden sheath is largely unembellished, save the genuine leather cord. 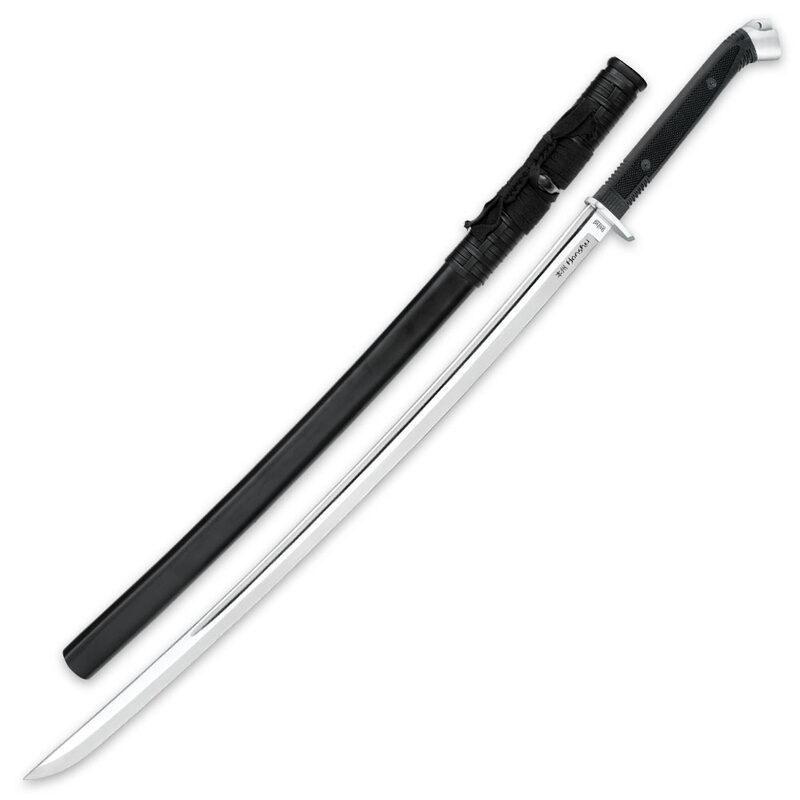 Even among more expensive swords, the remarkably affordable Honshu Boshin Katana shines brighter than the rest. Wielding it is almost Zen-like – you just have to experience it for yourself!